Officer Donald Paul Tucker, Sr. Officer Donald Tucker was shot and killed while answering a disturbance call. Upon his arrival the suspect opened fire with a .357 caliber revolver, fatally wounding Officer Tucker. The suspect attempted to shoot other people in the area but was apprehended. The suspect was sentenced to death but the sentence was commuted to life. He was subsequently released after serving only 30 years. 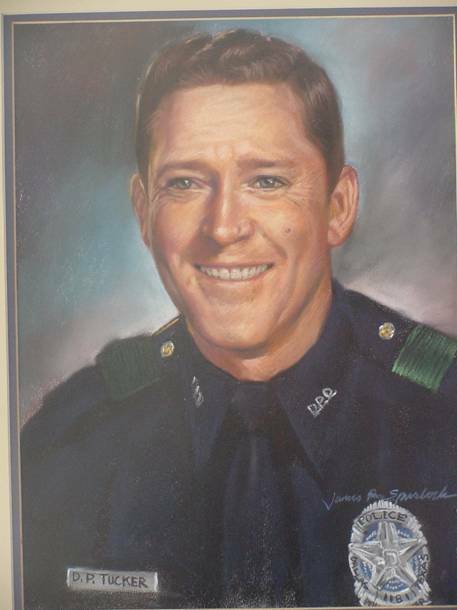 Officer Tucker had served with the Dallas Police Department for 18 years. He was survived by his wife and three children.